« Happy 26th Broadway Birthday, The Phantom of the Opera! On January 27, 1970, John Lennon recorded “Instant Karma” at Abbey Road Studios in London. 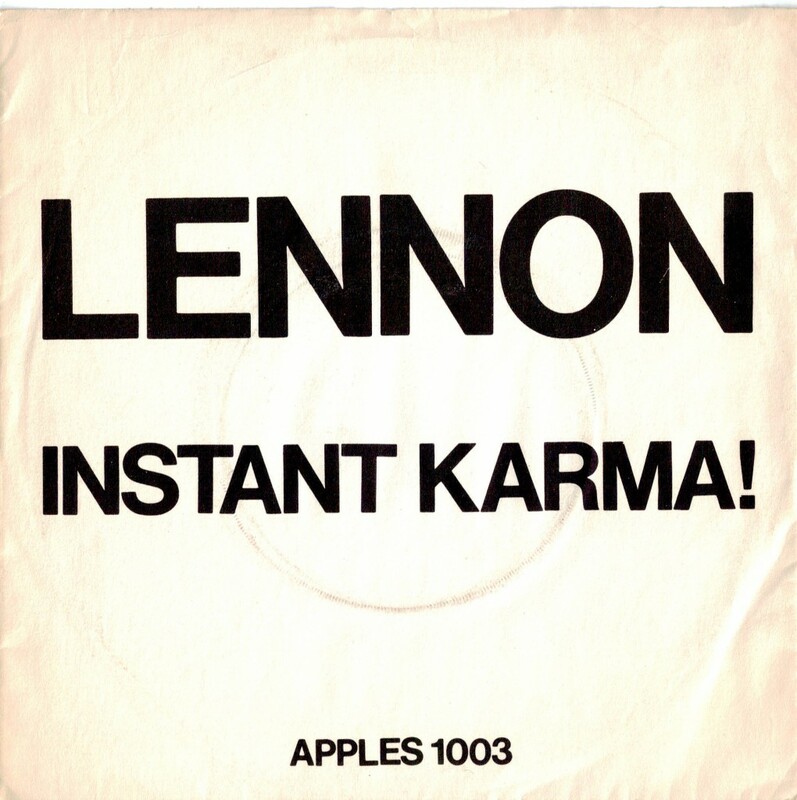 Fun fact about this song: “Instant Karma” was written, recorded, and released in a period of less than 10 days! It’s one of the fastest-released songs in music history! Lennon was quoted as saying that he “wrote it for breakfast, recorded it for lunch, and we’re putting it out for dinner” (source). This video is from February 11, 1970 on Top of the Pops. Can you believe this is only about two weeks after he wrote and recorded the song? Watch for Yoko Ono knitting blindfolded!